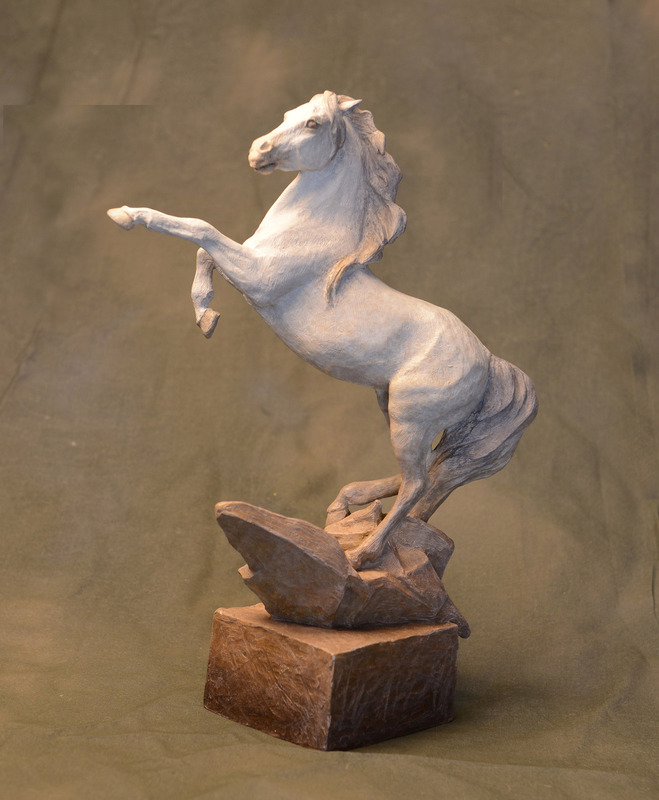 I have long been inspired by the beauty of the Andalusian and Lusitano breeds. 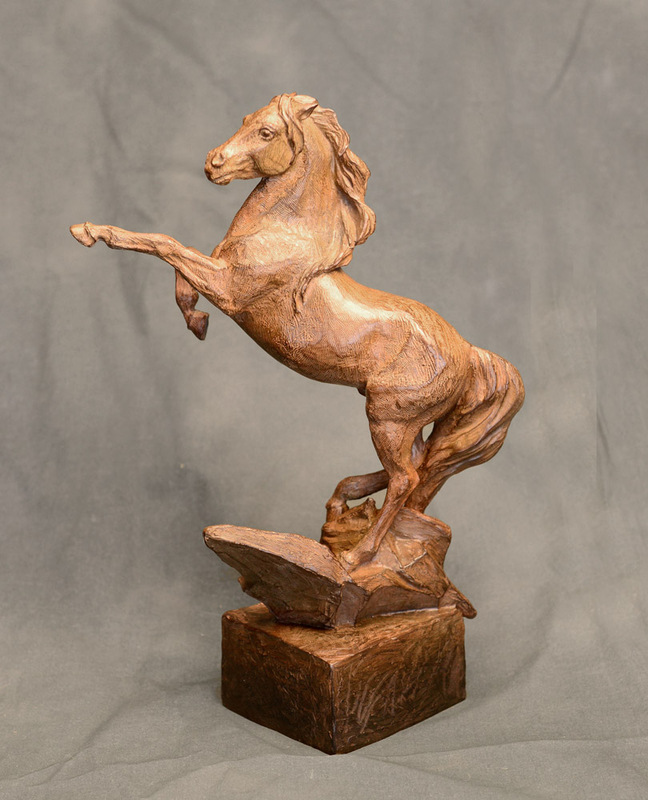 This bronze is available in two different patinas; old world white or saddle brown . 14”H x 10.6”L x 6.6” deep.